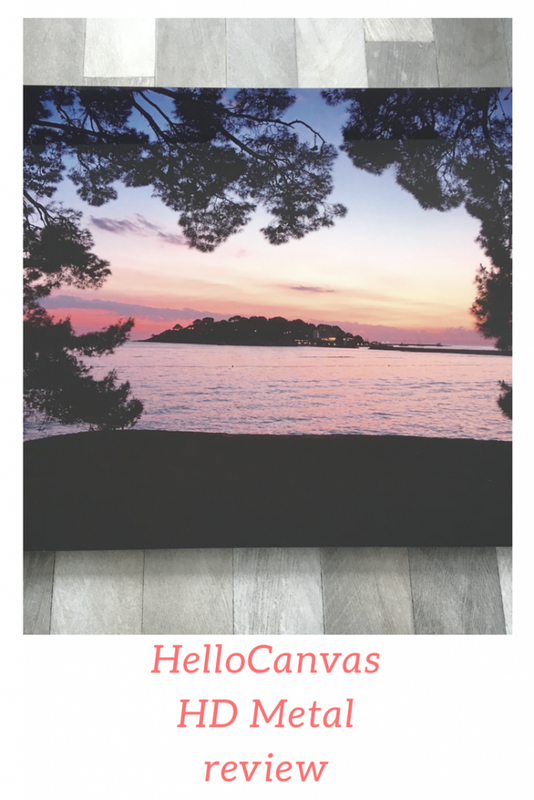 HelloCanvas make custom products with your favourite photos. They offered to send* me one to review so I had a nosy at their website. 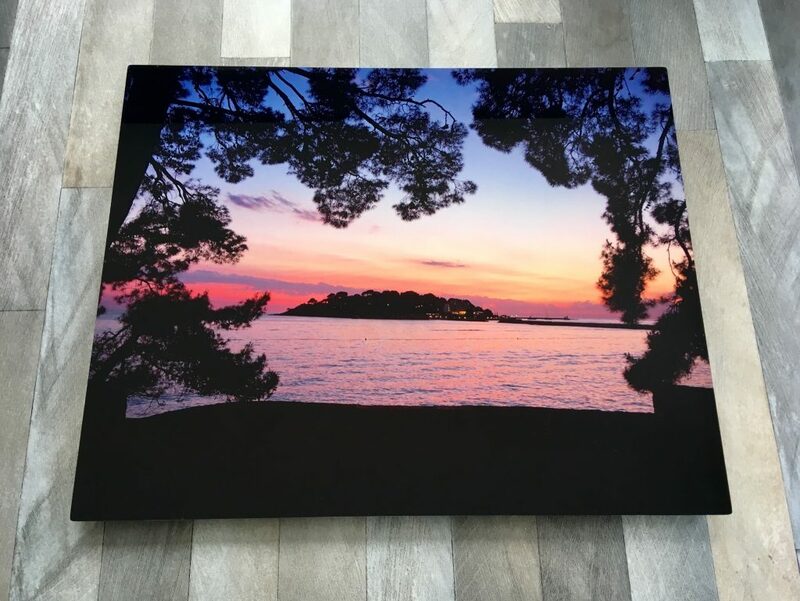 You can have your photos added onto canvas, phone cases, framed prints and posters. Two of my favourite products are the HD Metal prints and the photo printed on wood. The photo on wood is done on sustainable white washed pinewood slats that are 14 mm thick and therefore do not get crooked. You can choose between vertical or horizontal slats. The natural wood grain is visible through the image and there are no knots in the wood to get in the way of the photo. I decided on the HD Metal print as it is suitable for being both indoors and outdoors. I love the idea of a few family photos or photos of holidays we have been on being hung along the garden shed! The HD Metal is available in high gloss or matt. I chose high gloss and a landscape photo. 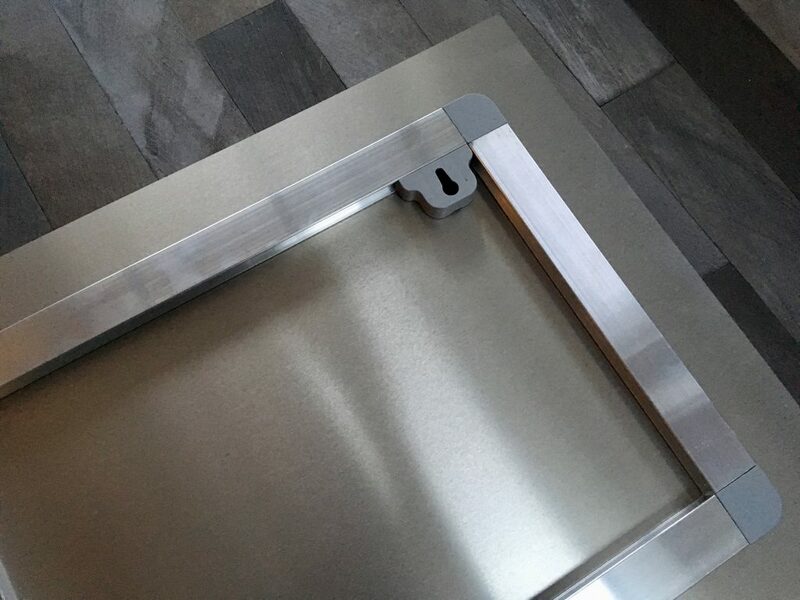 HD Metal consists of a thin aluminium plate with a special coating on top. HelloCanvas then use a unique technique to apply the photo onto it. The material is scratch-resistant and waterproof so it is perfect for outdoor use. It comes already mounted with a hanging system that mounts straight onto the wall and the smaller ones can have a stand to go on a table. The fitting attachment can be moved along the top of the frame to put where it will hang best for you. I love the idea that you can have pictures hanging in the garden. What a great idea! Wow I love the idea of making custom canvases. This would make for a great gift idea too! How cool is this, I love that you can hang it outside, I’m definitely going to consider something like this when doing our garden this spring. The HD Metal photo looks like something I would love to order myself, I will take up on the 30% discount which you are offering. Ooo these look amazing! I will deffo be having a look at these! It looks great, you wouldn’t think that it is printed on metal. I like how vivid the colors are. I want this… it looks so sophisticated and tasteful. Thanks for sharing.